Researchers at the University of Sydney, Swinburne University of Technology and the Australian National University have collaborated to develop a solar absorbing, ultrathin film with unique properties that has great potential for use in solar thermal energy harvesting. 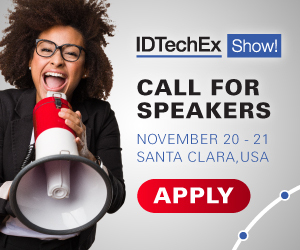 For more information see the IDTechEx reports on Energy Harvesting Microwatt to Megawatt 2019-2029} and Graphene, 2D Materials and Carbon Nanotubes: Markets, Technologies and Opportunities 2018-2028. It could even lead to the development of 'invisible cloaking technology' through developing large-scale thin films enclosing the objects to be 'hidden'. Professor Martijn De Sterke from the University of Sydney Nano Institute and School of Physics is Director of the Institute for Photonics and Optical Science. He said: "Through our collaboration we came up with a very innovative and successful result. We have developed a new class of optical material, the properties of which can be tuned for multiple uses." "This is among many graphene innovations in our group," said Professor Baohua Jia, Research Leader, Nanophotonic Solar Technology, in Swinburne's Centre for Micro-Photonics. "In this work, the reduced graphene oxide layer and grating structures were coated with a solution and fabricated by a laser nanofabrication method, which are both scalable and low cost." "Our cost-effective and scalable graphene absorber is promising for integrated, large-scale applications, such as energy-harvesting, thermal emitters, optical interconnects, photodetectors and optical modulators," said first author of the research paper, Dr Han Lin, Senior Research Fellow at Swinburne's Centre for Micro-Photonics. "Fabrication on a flexible substrate and the robustness stemming from graphene make it suitable for industrial use," Dr Keng-Te Lin, another author from Swinburne, said. "The physical effect causing this outstanding absorption in such a thin layer is quite general and thereby opens up a lot of exciting applications," said Dr Bjorn Sturmberg, who completed his PhD in physics at the University of Sydney in 2016 and is now a lecturer at the Australian National University. The research was published today in Nature Photonics and has been funded by an Australian Research Council Discovery Project grant.